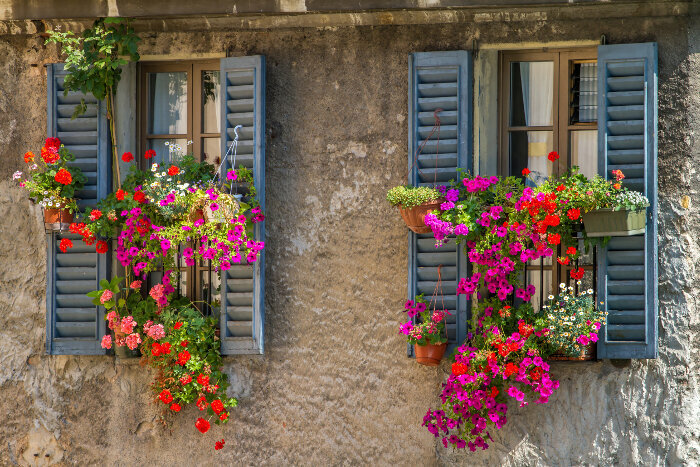 The mention of geraniums typically conjures up images of bright red blooms against rich green foliage adorning window boxes and porch railings. You may be surprised to learn that there are hundreds of species of geraniums that range in size, shape and color. The common geranium comes in shades of white, red and pink with many striking bi-colors, too. What Does the Geranium Flower Mean? The common name geranium has an interesting history. 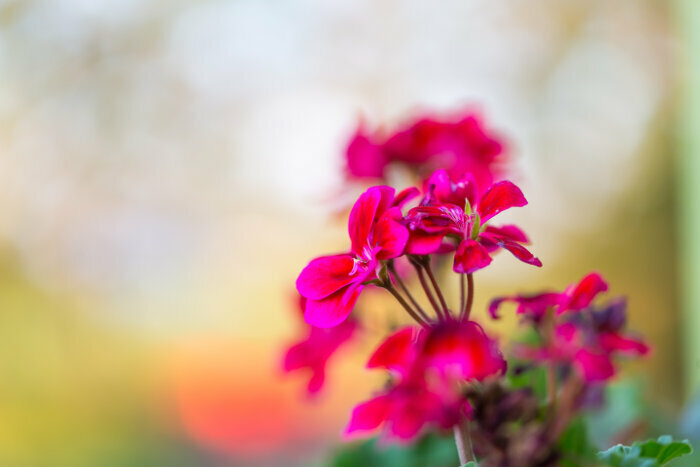 Common geraniums belong to the genus Pelargonium, while true geraniums belong to the genus geranium, which includes the crane’s bill geranium, a similar but different plant. Both belong to the family Geraniaceae. 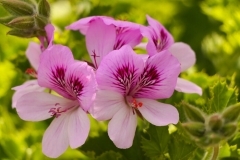 While both genera were originally classified as geraniums, in 1789 the two genus were separated. The common name geranium has continued to be used to describe both pelargoniums and geraniums. The name geranium comes from the Greek word geranos meaning crane because the seed pods of the plant resembled a crane’s bill. 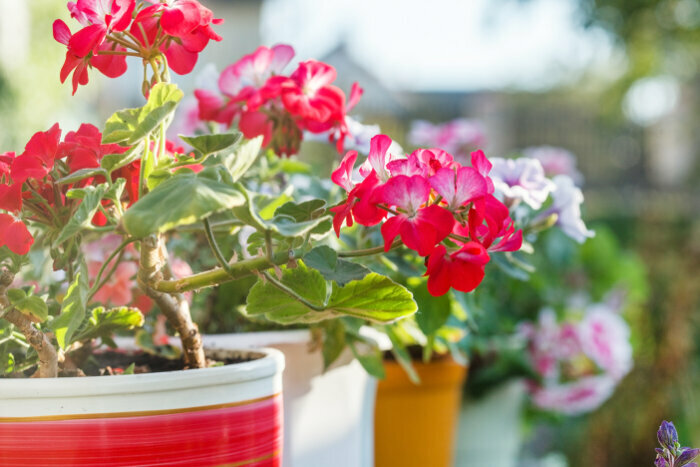 Geraniums are sometimes considered a birth flower for the Zodiac sign of Cancer. 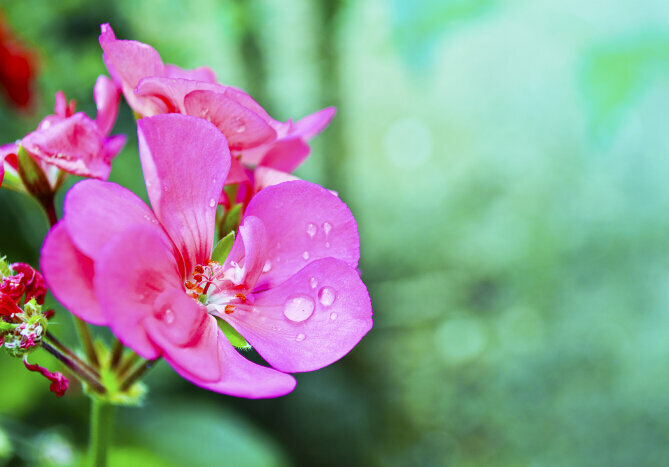 Most geraniums are native to southern Africa, but some species originated in Australia, New Zealand and the Middle East. They range in height from a mere 12 inches to 6 feet or more in the wild. The common geranium is actually a tender perennial grown as an annual in pots and containers across much of the United States. In northern climates, they can be overwintered inside and set outside again in the spring. Scented geraniums release a fragrance when their leaves are touched. 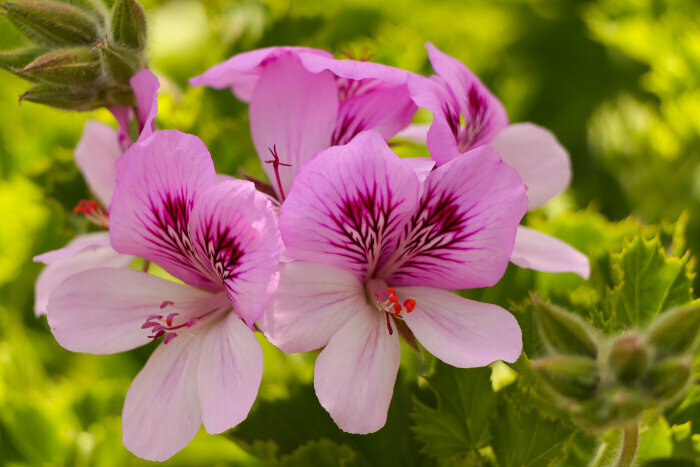 The most popular scented geranium is often sold as a mosquito plant, as its leaves release a lemon or citronella scent. Research doesn’t support the claims that it will repel mosquitoes, but it is an attractive and fragrant plant for summer gardens. 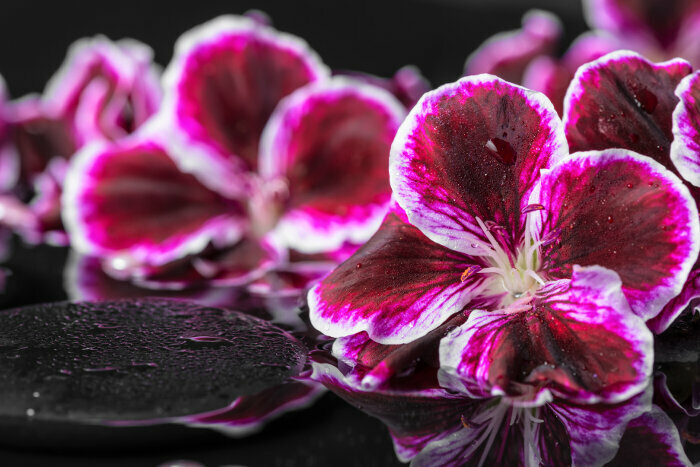 For the most part the color meaning of geraniums follows the traditional meanings of flower colors, but there are some exceptions. White Geraniums – White geraniums were once believed to repel snakes and were planted near homes or areas where snakes were a problem. They also are thought to promote fertility. 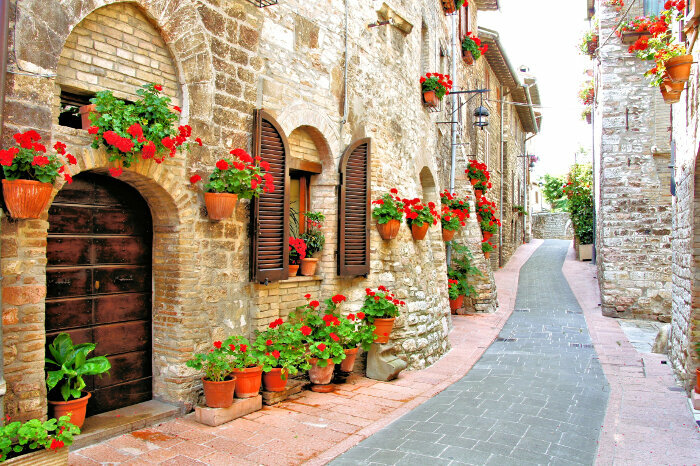 Red Geraniums – According to Wicca beliefs, a red geranium planted near the door will warn the occupants of approaching strangers by facing the direction of the stranger. 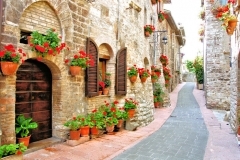 They are also considered a protective flower that symbolizes good health. 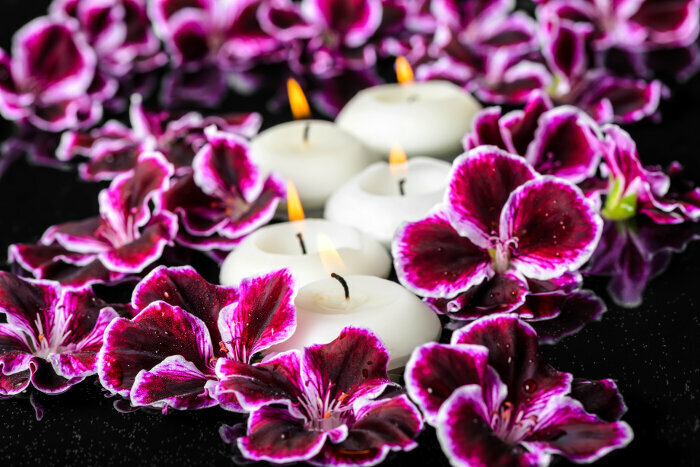 Pink Geraniums – Pink geraniums are often used in love spells. 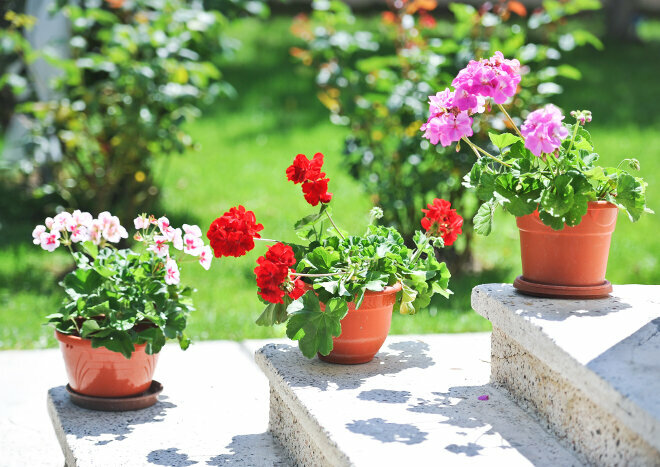 Geraniums are used primarily as ornamental plants. 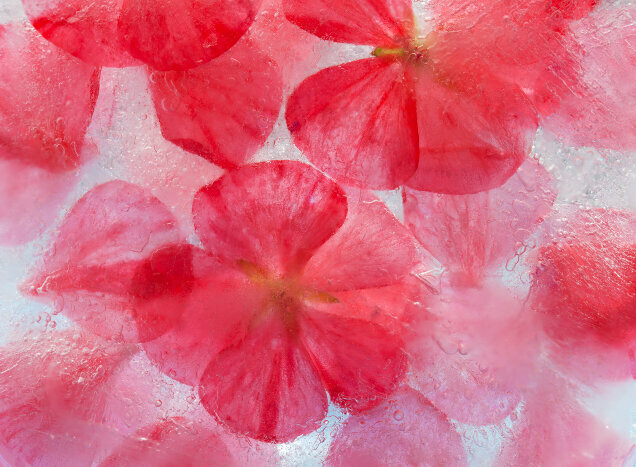 Scented geraniums are often used for fragrance, while geranium oil from the leaves of common geraniums has been used in poultices for help heal wounds. The dried leaves can be used to make a herbal tea, or to make a compress for relieving pain. 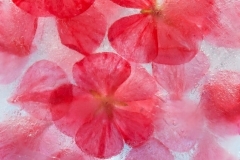 The geranium flower’s message depends on the situation. As a housewarming gift it may represent friendship or wishes for good health. While its meaning is sometimes contradictory, most Americans view the geranium flower as a symbol of happiness and positive emotions. 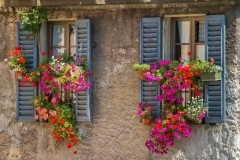 These flowers are ideal for adding color and scent to window boxes, hanging baskets and container gardens. They are often presented at special occasions such as promotions and retirements.